**Please note that we are in no way associated with DockaTot. 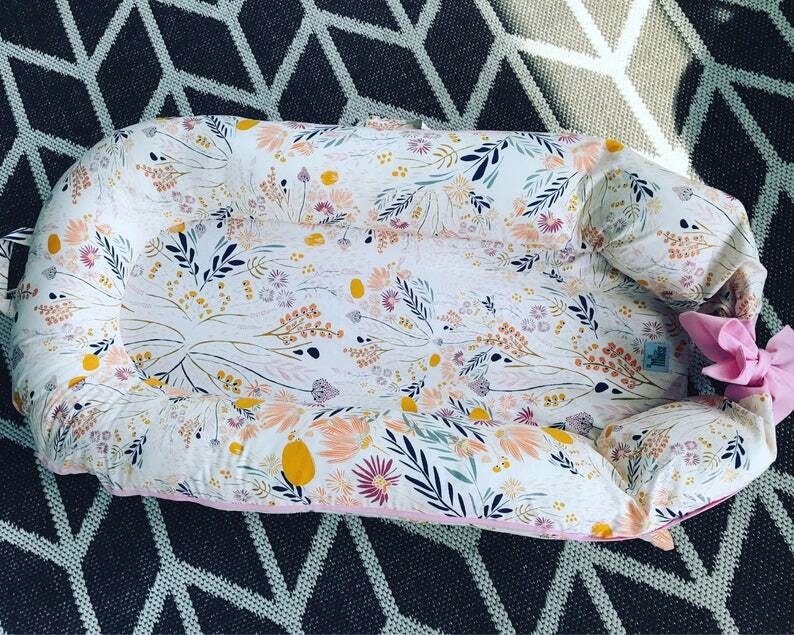 These are covers only that are made to fit the DockaTot forms, these covers intentionally differ in design and construction from the DockaTot brand. Select the fabric number of your choice. If you want multiple items you will need to add each item to your cart with your fabric # selection. Then you may check out and add any additional notes to me in the "Notes to Seller" box on the checkout page. If you want a different fabric such as minky or organic message me and I will create a custom listing for you! These premium fabrics are 100% cotton. These beautiful fabrics are Art Gallery Fabrics. The fabric holds up very well under ideal washing conditions. Please follow these simple care instructions. Are you a return customer? Kindly review my products and you will receive a 10% off discount on your next order. If you leave a shareable picture and give us a shout out on instagram or Facebook by tagging @littlemoosebyliza with the review you will get a code for 15% off your next order. Or you can also use a free shipping code as a return customer. Love this cover! I loved that there were so many patterns to choose from and that the cover is really good quality. Lovely fabric and well made. Thanks! !